Though the House of Ivy & Sorrow was a pretty decent read, the calculator side of my personality wouldn’t just give in. There are so many reasons for me to enjoy this book but things were just off. I was bored the whole time I was reading it. Halfway through the book, I was merely skimming… feeling distant and uncaring. I really tried my best to like the characters but I just couldn’t. It seems that there’s an invisible force blocking me from connecting with them. 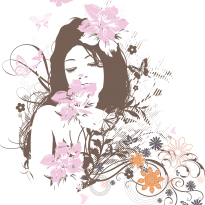 Josephine, our protagonist, isn’t a bad character but the thing is, she isn’t remarkable either. And towards the end of the story, I was feeling contemptuous about her. She rose to power in an implausible manner that has my eyeballs almost popping out from their sockets. Throughout the story, I haven’t “seen” the girl practicing spells or doing admirable feats of magic on her own and suddenly, there she is concocting a brand new, extremely complicated potion to save her friends and family from getting the Curse (The name of the curse that has plague and killed witches for centuries and was proven to be incurable until Josephine’s potion). I bet my arm and leg that even Albus Dumbledore or let’s just say, Hermione Granger, couldn’t achieve such deed without experimenting first. Very convenient, eh? Even the other characters exuded an aura of “meh.” Winn, Gwen, Kat, Joseph, Nana Dorothea, Levi…the whole lot of them. Le sigh. And the villains (renowned for their cruelty; and for defeating other powerful and seasoned witches) were just so lame that they were easily defeated by 6 witches in which 4 of the latter are a bunch of amateurs. Seriously??? Things could have still been saved if the relationships of the characters have just been developed wonderfully. But alas, it wasn’t. First, we have the friendship between Jo, Gwen, and Kat. That could have been outstanding, with girl power and all that. Second, we have a romance between Jo and Winn. Sure, it didn’t become overbearing but the thing is, I can hardly feel any spark between the two. And third, we have a father-daughter relationship that felt forced and rushed. Gaaaaah! The plot of House of Ivy & Sorrow was simplistic, hence, my boredom. I mean, admit it or not, witches are already overused nowadays and authors should try harder to make stories about them interesting. I know it’s unfair but if you grew up reading Harry Potter books, you’re bound to make your standards higher. Another sigh. 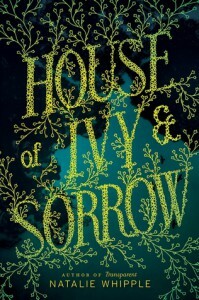 I don’t despise House of Ivy & Sorrow for there are still some things about it that made my inner sorcerer happy. I adore the magical system created by Natalie Whipple. It wasn’t really new but it was realistic. It ought to remind us again that magic is not without its price. :D Additionally, the author was able to paint some scenes that are truly gross that turned the insides of my stomach into a knot. Summing it up, House of Ivy & Sorrow is a fast paced read perfect for those readers who are just starting to know the world of witches. There’s a good chance that others might enjoy this more than I did. Well, that is if they’re able to let go of their nit-pickiness.